Corporate executives see strategic risks as a result of technological changes — from big data and cloud computing to social media — according to a global Deloitte survey in 2013. Deloitte queried more than 300 executives, risk managers and board members — 81 percent said their strategic-management focus has evolved with technology. Their companies have at least $1 billion in revenue. Their key strategic concerns are no longer in human resources or innovation. “…companies are making a deliberate effort to improve their strategic risk management capabilities and performance,” according to the 2013 study. Why? Information and negative opinions are more difficult to manage. Forty percent cited reputation risk. The executives think they’re progressing in this regard, but almost 40 percent said more needs to be accomplished. 1. Strategic risks are risks that affect or are created by an organization’s business strategy and strategic objectives. 2. Operational risks are major risks that affect an organization’s ability to execute its strategic plan. 3. 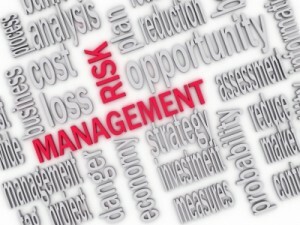 Financial risks include areas such as financial reporting, valuation, market, liquidity, and credit risks. 4. Compliance risks relate to legal and regulatory compliance. How to Avoid Failure in Risk Management and Strategic Planning — Incredible as it might seem, companies fail because they underestimate strategic risks – yes, strategic blunders instead of common sense – according to an authoritative study. Instead of studying the successes of companies, Booz & Company consultants took the opposite approach in a 2012 study. Best Practices to Capitalize on Business Intelligence — A large number of business intelligence (BI) users admit they don’t effectively use it to identify and create opportunities for sustainable growth, according to a study. Their honesty isn’t surprising, but the high level of misused BI is. Why Companies Stay Successful When Others Fail — There’s a common thread among companies that succeed long term. A Stanford University professor calls the reason “organizational ambidexterity.